You might also find my Education Week Teacher post, Response: Do’s and Don’ts for Better Project-Based Learning, useful. Q & A Collections: Project-Based Learning is the headline of one of my Education Week Teacher columns. It contains links to all my posts on Project-Based Learning from the past five years – in one place! I’ll be writing a post soon inviting reader contributions to the book, too. One of the strategies I’ll be writing about is cooperative learning. In the course of my research, I’ve found some pretty good sites that I thought readers might find useful. I’ve divided them into two sections — one sites that provide research results on its use and the second section with sites offering more practical ideas on how to implement cooperative learning in the classroom. Powerful Learning: Studies Show Deep Understanding Derives from Collaborative Methods is an excellent Edutopia article by Brigid Barron and Linda Darling-Hammond. You can also download an expanded version of their article here. Evidence that PBL Works comes from Edutopia. An article by Spencer Kagan on using cooperative learning in the ESL classroom. Unleashing the “Brain Power” of Groups in the Classroom is a great article about the neuroscience of cooperative learning groups. It appears in The Harvard Education Letter. I write in my book, English Language Learners: Teaching Strategies That Work, about how I used problem-based learning in the classroom. It’s very engaging, and very effective on a number of levels. Apparently, the Central Intelligence Agency (CIA) agrees. You can now read the list of questions the CIA recommends to use in order to define problems and develop a solution to them. I think they’re pretty good, and being able to attribute them to the CIA will only make them more attractive to students. I can see giving students the lists and having them pick the ones that they’re most interested in answering. Watch Problem Based Learning in Action: Apollo 13 is a nice post (and video clip) by Peter Pappas. Edutopia has some great resources on Project-Based Learning. Seven Essentials For Project-Based Learning is the title of a very useful article in month’s issue of Educational Leadership. 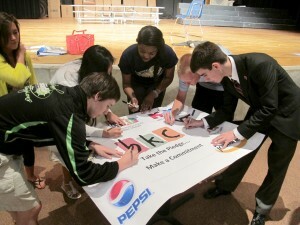 The Buck Institute For Education, one of the leaders in project-based learning, has just begun a blog devoted to PBL. If these resources aren’t enough for you, Cybraryman has even more… as does The Complete Guide to Project-Based Learning. simple video makes the essential elements of PBL come alive and brings to light the 21st Century skills and competencies (collaboration, communication, critical thinking) that will enable K-12 students to be college and work-ready as well as effective members of their communities. I published a post about a recent study that found that a group of people who had good social skills would outperform a group of individuals with higher native intelligence but fewer interpersonal abilities (see And Is Why We Have To Help Our Students Learn How To Work In Small Groups). NPR ran a more extensive story about the same research. Go to Collaboration Beats Smarts In Group Problem Solving. I know that some studies have said that three or four students are the best number for student small groups in the classroom. However, I’ve always found that — at least for ninth-graders — working in pairs works best (though sometimes near the end of the school year I’ll have them do a project in three or four after they’ve matured a bit and gained more experience in pair work). A new study now seems like it might reinforce my opinion. 2 people can learn to cooperate intuitively, but larger groups need to communicate is the title of an article reporting on research that two people can work more easily intuitively. Top Ten Tips for Assessing Project-Based Learning is a new great — and free — classroom guide from Edutopia. on the average, the use of cooperative learning by teachers in the action research studies was associated with a gain in student academic achievement of 30 percentile points over what was expected when teachers did not use cooperative learning. A neat Problem-Based Learning Interactive comes from the Illinois Mathematics and Science Academy. Thanks to Jackie Gerstein for the tip. What Makes A Good Project? is by Gary Stager. How to Refine Driving Questions for Effective Project-Based Learning comes from Edutopia. Don’t Lecture Me: Rethinking How College Students Learn is a commentary on research in a college classroom, but it certainly can also pertain to K-12, too. Problem-Based Learning in K-12 Education: Is It Effective and How Does It Achieve Its Effects? is a new study highlighting the effectiveness of Problem-Based Learning. Unfortunately, the link will only allow you to access the abstract and you have to pay to see the full report. Physicists Seek To Lose The Lecture As Teaching Tool is an NPR Report about the successes of a professor who has stopped lecturing and, and instead, has begun using small groups. American Radio Works has a more extensive feature on the results. Work That Matters: A Teachers’ Guide to Project-Based Learning is a very helpful report. The Muppets Guide to Project-Based Learning (PBL) is a great post from Michael Milton. Edutopia has published a newsletter titled Project-Based Learning: Success Start to Finish. It has tons of resources and links. Think-Pair- Variations is from Teacher Cast. Co-operative learning: what makes group-work work? is by Robert Slavin, and provides a good overview of cooperative learning research. Getting Started with Project-Based Learning (Hint: Don’t Go Crazy) is by Andrew Miller and appeared in Edutopia. 12 Ways to Know if You’re in a Project-Based Learning Environment or Merely Having Kids Create Projects in Your Classroom provides helpful advice. Practical PBL: Design an Instructional Unit in Seven Phases is from Edutopia. Why PBL is Good for the Brain is from ASCD. For Authentic Learning, Start With Real Problems is from The New York Times Learning Network. Here’s a useful chart on What’s the Difference Between “Doing Projects” and “Project Based Learning”? Research Supports Collaborative Learning is from Edutopia. How to Refine Driving Questions for Effective Project-Based Learning is by Andrew Miller at Edutopia. Why Problem-Based Learning Is Better is by Tim Holt. Should I teach problem-, project- or inquiry-based learning? is by Lauren Davis. Problem-Based Learning or Just Another Project? Use Checklist to Find Out is from teachbytes. Dispelling misunderstandings about PBL is by Andrew Miller. Yong Zhao Makes the Case for Creativity is by Suzie Boss. Classroom Guide: Top Ten Tips for Assessing Project-Based Learning is from Edutopia. is the slide deck that Suzie Boss and Mike Gwaltney used in the ISTE presentation on PBL, but you should go to Mike’s post where he additional resources, too. Here’s are some good definitions of project-based learning and problem-based learning. Essentials For Project Based Learning is from The Buck Institute. PBL For English Learners is also from The Buck Institute. Classroom Guide: Top Ten Tips for Assessing Project-Based Learning (now available in Spanish!) is from Edutopia. Project-Based Learning vs. Problem-Based Learning vs. X-BL is from Edutopia. 8 Essentials for Project-Based Learning is from The Buck Institute. I’m adding it to The Best Sites For Cooperative Learning Ideas. The Difference Between Projects And Project-Based Learning is from Teach Thought. Getting to grips with project based learning and I’m interested in project based learning but I don’t know where to begin! are two good posts by Adam Simpson discussing PBL and English Language Learners. 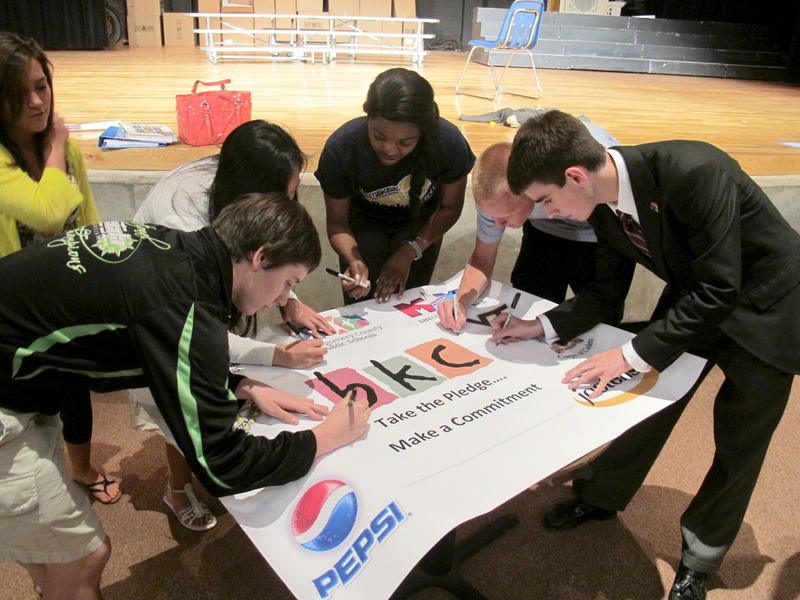 Personalized PBL: Student-Designed Learning is by Andrew Miller. Five Keys to Rigorous Project-Based Learning is from Edutopia. What Project-Based Learning Means for Your High School Child is from US News. A World of Project Ideas (You Can Steal) is by Suzie Boss. The Power of Collaboration and Active Engagement for ELs is by Judie Haynes. English Learners and Project-Based Learning is from Ed Week. Time to Debunk Those PBL Myths is by Suzie Boss at Edutopia. The Importance of Project Based Teaching is from The Buck Institute, and provides a unique historical perspective on Project-Based Learning. What the Heck Is Project-Based Learning? is by Heather Wolpert-Gawron. 8 Steps To Design Problem-Based Learning In Your Classroom is from TeachThought. 10 Ready-to-Borrow Project Ideas is by Suzie Boss at Edutopia. 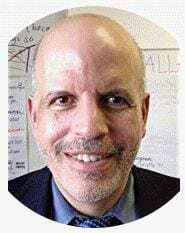 Q & A Collections: Project-Based Learning is my latest Ed Week Teacher column. 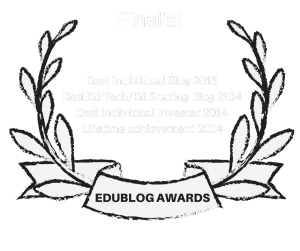 It brings together all my posts from the past four years on Project-Based Learning – in one place! PROJECT-BASED LEARNING: QUESTIONS AND NEED-TO-KNOWS is by Philip Cummings. Project Based Learning in the World Language Classroom is from CASLS. As Project-Based Learning Gains in Popularity, Experts Offer Caution is from EdWeek. ESL Jigsaws by Nancy Callan has some great ideas about how to use the jigsaw strategy with ELLs, along with offering excellent materials. New Study Shows the Impact of PBL on Student Achievement is from Edutopia. FROM PROJECT TO PROJECT-BASED is from The New School. In History Projects, Point of View & Context Matter is a very good piece by Anthony Cody on project-based learning in Social Science classes. Second Set Partners: A Turn and Talk Strategy is from The Teaching Channel. New FreeBIE Resource: English Learner Scaffolds for PBL is from The Buck Institute. The Jigsaw Method Teaching Strategy is from TeachHub. Thank you for a great post and many useful links. Love cooperative learning. The Johnson brothers have been to Norway and they always have so much to contribute with. These are great techniques to use in class and go well with 1:1 laptop schools too! Thanks for the suggestions. By the way, though the original post date is old, I’m always updating it. Great site. I am working on cop learning, it was vewry usefull.